Executive Committee member of the Ghana Football Association Wilfred Osei Palmer has bemoaned the performance of Ghanaian clubs in CAF competitions following Asante Kotoko's elimination from the CAF Confederation Cup on Wednesday. The Porcupine Warriors were booted out of CAF's second-tier club competition after losing 7-6 on penalties to Congolese club CARA Brazzaville. The Reds failed to protect their 1-0 first-leg lead as they lost by the same margin to take the game to penalty shootouts. Misses from captain Amos Frimpong, Obed Owusu, Jackson Owusu and Kwame Boahene cost the Ghanaian giants a place in the second round of the competition. 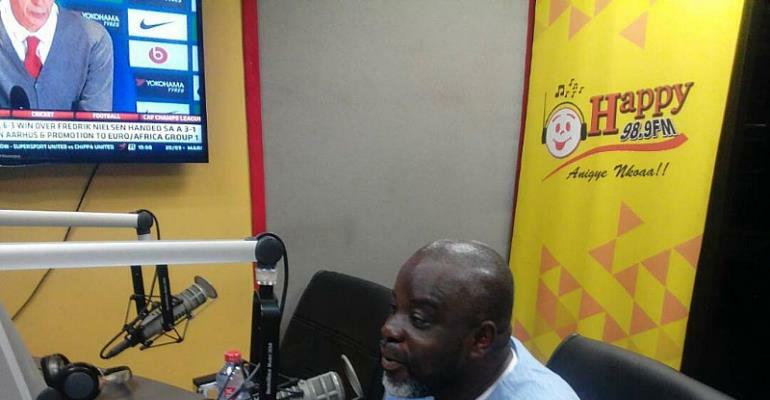 During an interview with Oyerepa FM's representative in Congo, Clement Owusu, Osei Palmer, who was the leader of delegation for Asante Kotoko, expressed his disgust over Ghanaian clubs inability to make an impact on the continental stage following the Porcupine Warriors exit. "It's worrisome because a country like Congo has 4 slots and Ghana is struggling with 2 slots," Palmer said. "It doesn't befit us. As an FA, we need to make that concerted effort to ensure certain policies will be directed to make sure we win back the other 2 slots lost, we deserve more than." Kotoko are expected to touch down in Ghana on Thursday afternoon. Meanwhile, Aduana Stars who are the sole representative for Ghana in the CAF Champions League overcame Libyan side Al Tahaddy 2-1 on aggregate to advance to the last qualifying round of the competition, where they will meet Algerian side Setif.